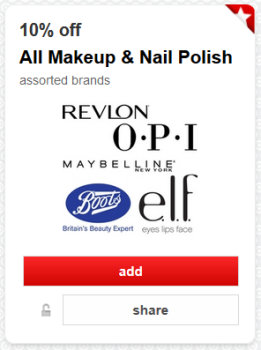 There is a new Cartwheel offer for 10% off all make-up and nail polish. Offer includes assorted brands like O.P.I, Maybelline, Revlon & more. Excludes all skin care. Offer valid through 7/26.